The all-new IMAGE GIANT-SIZED ARTIST'S PROOF EDITION series presents special artistic achievements in their raw form in an oversized format. 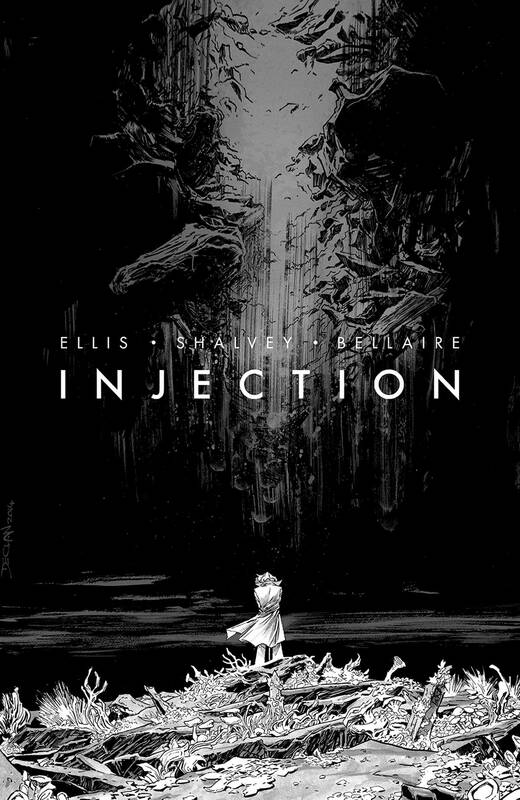 DECLAN SHALVEY's atmospheric line art from INJECTION #1 is presented in glorious black-and-white inks with ink-washes at 11' X 17'. Also includes a full size cover gallery.